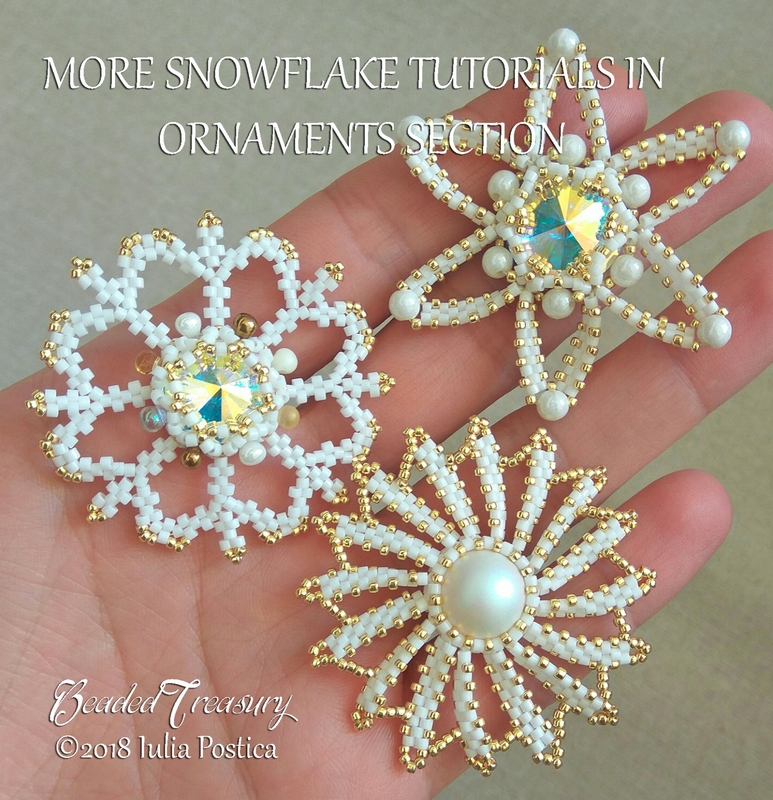 STAR SNOWFLAKE Beaded Christmas Ornament Tutorial. size 11/0 and 15/0 Japanese seed beads. You can sell finished beaded jewelry and ornamnents made from this pattern - please give credit to the designer (Iulia Postica - BeadedTreasury).